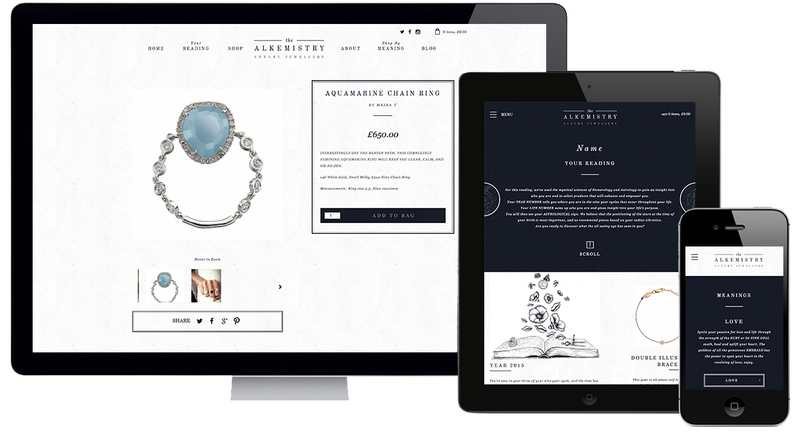 Impression client, The Alkemistry, has been featured in a blog by Christopher Ratcliffe, Deputy Editor of The Econsultancy, as an innovation leader for ecommerce websites. The Econsultancy is an online digital news hub and the pinnacle for all digital marketers. To be referred to in one of the chief’s blogs is nothing short of brilliant. The blog which features The Alkemistry is a run through of 10 revolutionary ideas to make an ecommerce websites more interesting. Alongside The Alkemistry, Ratcliffe mentions brand giants MINI, Bruggler and Crayola as other ecommerce innovation leaders. Noted for its astrological quiz The Alkemistry marries your life number, life cycle and astrological reading to items from The Alkemistry range. Ratcliffe pinpoints the website as an alternative approach to personalisation and ecommerce. You can read Ratcliffe’s blog here. Or to take the personalised The Alkemistry astrological quiz and find the jewellery to enhance your life.